Reading and Writing data from/to excel sheets is very easy with the python modules xlrd, xlwt. There is also an xlutils module available to help in copying data, filtering data, etc. But, I don’t use that module simply because such a need has not arisen yet. So, I’m going to focus on the xlrd and xlwt modules only. Now, that you are ready to use the modules, let me list out the methods I find most useful while using these modules. Then, we create a workbook object to write data into. You can pass an optional parameter to specify encoding here, but it is not necessary (I normally don’t specify it). Next, we will add some sheets to the workbook. Again, there’s an optional parameter cell_overwrite_ok. I generally use it because I need to overwrite already existing excel sheets with new test results. First parameter is the name you want to give the sheet being created. The final step is to save this workbook object as an actual excel file. We pass the path to the file as a parameter. If a file already exists at the given path, the sheet will be overwritten. Now that we have saved the data in an Excel file successfully, it’s time to read the saved data from it. We start by importing the xlrd module. Then, we open the workbook to be read by passing the file path parameter to the open_workbook() method. In this case, we’ll be opening the file we just saved. 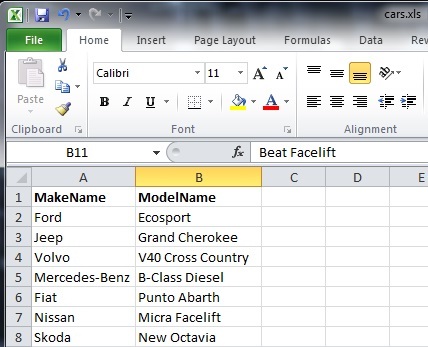 To access a sheet of the workbook object, we can use the sheet_by_name() or the sheet_by_index() method.These methods return a sheet object that can be used to access the cell contents. There’s another method sheet_names() that returns the names of all the sheets in the file. The row_values() and col_values() methods return a list of data upto the final cell that contains data. Any empty cell in between will be read as an empty element. The nrows and ncols values will also be calculated accordingly. Another thing to note is that while reading integer values from an excel, xlrd methods will return them as floats. So, in case you have a value “100” in the first cell of the first sheet, you will need to convert it back to integer while reading it. In this step, what does  indicate? wb2.sheet_names() returns an array of sheet names in the workbook wb2.